It's starting to look like Fall Theatre! Happy September everyone. Lots of classes coming up - be sure to scroll all the way down - or click to view the email in a browser so you don't miss anything. Is It Rude to Leave the Theater Early? The ballet audience at Lincoln Center looked as excited as Beliebers. But 10 minutes into a critically acclaimed Serenade by George Balanchine, my philistine mind began to wander. I looked at my watch. I thought about bills I had to pay and where to go for dinner. The publicist who had procured the fine opening night seats for me and my host, a dance critic, lingered nearby. I could not just walk out gentle into that good night. The Satirical Smartypants is back! 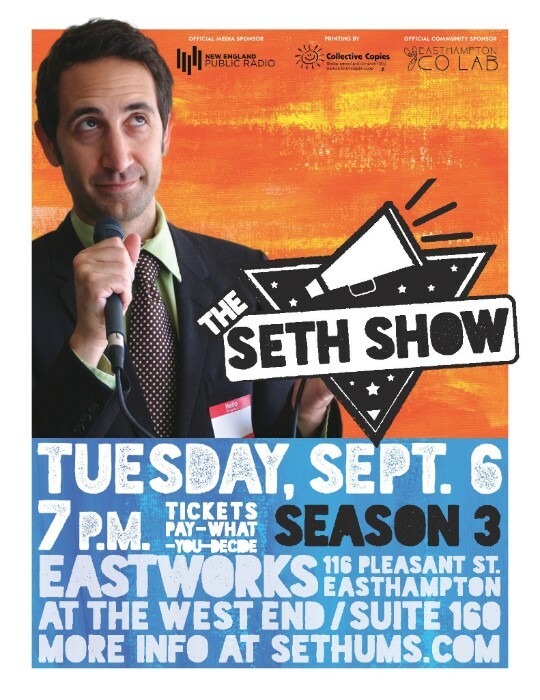 The Seth Show returns with Season 3, as well as to SUITE 160, which is now being called THE WEST END. This time around all shows are completely theme-less. Every show will be different including how you pay based on your experience. Implementing the Pay-What-You-Decide model that ARC theatre uses, audience members will pay for the show *AFTER* the performance, and pay what they feel the show was worth. Due to this new model, reservations will be REQUIRED. Happier Valley Comedy Show Monthly comedy show featuring improv comedians The Ha-Ha's & Friends performing “The Fourth Wall“ where the audience becomes a character in the scene, plus special guests Julie Waggoner and Jenny Drescher. Saturday September 10th. Arts Block (289 Main St., Greenfield) at 8:00pm. (Doors open at 7pm.) Tickets $13 at the door and in advance online at www.theartsblock.com. For ticket information, call 413-774-0150, for show info email info@happiervalley.com. 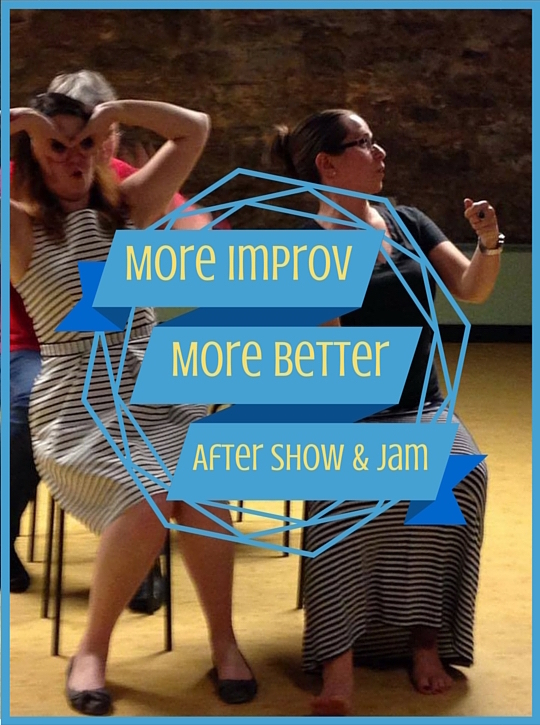 Open improv jam for everyone and anyone to play and watch improv games lead by Happier Valley Comedy friends. Plus a showcase set featuring an up-and-coming improv team. Saturday September 10th. Arts Block (289 Main St., Greenfield) at 10-11pm. (Directly following the Happier Valley Comedy Show.) Free show (one drink minimum.) For more info visit the website or email. Seating is very limited. Please arrive early! $10 Suggested Donation. In an ecovillage somewhere up in the hills, Danny, a newcomer, arrives at a utopian community divided over its future direction. His friendship with two residents, Sarah and Carl, embroils him in passion, jealousy, secrets, and conspiracy. CROWSNEST explores the meanings of love, family, and community, in a corner of contemporary America where people striving for utopia put these terms to the extreme test. This will be the first-ever public performance of this brand-new play by Harley Erdman, a UMass theater professor known locally for his librettos for the operas THE GARDEN OF MARTYRS and THE SCARLET PROFESSOR. THE WINKLEMEYERS BET IT ALL is the story of one man’s boom and bust during the first wave of big Internet money, and the price he pays for success that continues to elude him. This play, which was originally produced at an obscure, now-defunct theatre festival in New York City, is one of a number of works by Mojie Crigler, whose other plays have been seen at Ensemble Studio Theatre, Magic Theatre, New York Performance Works, and Carnegie Mellon University. Where's Annie? Who's Annie? And what have Jack and Birdie done with her? In this dark comedy, Sarah Bitts returns home to confront her estranged grandparents, only to discover that the eccentric pair hides a past more frightening than she ever imagined. Caught in the couple’s alternately terrifying and bitterly humorous web of riddles, lies, and suspicion, Sarah fights her way to the truth and to her family’s redemption. Originally workshopped at the Lark Play Development Center in New York City, WHERE'S ANNIE? was developed in a reading with Frances Sternhagen at the Hudson Stage Company, where it also received its premiere production. This reading offers audiences a first glimpse at a substantially revised version of the play. Can three people who share the loss of the same love come together to heal? NAKED WITH FRUIT is a comedy about grief and the quest for love and family. Isabel and Marilyn reconsider polyamory as they grieve the death of the secret third member of their intimate relationship. Isabel’s longing to connect inspires desperate measures, including befriending a Rabbi -- which leads to more secrets and betrayals. Through a tricky road to recovery, the loss of a shared love may turn out to be a powerful bond. 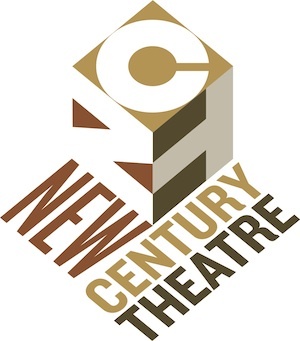 An earlier version of Naked with Fruit was produced at the Provincetown Theater and was a Mass Cultural Council Finalist for playwriting. A radical re-envisioning of three classic fairy tales, GRIMM WOMEN features a trio of women – a young runaway from a religious community, an adoptive mother living in urban public housing, and a globally successful business owner - telling their stories in a series of impassioned monologues. GRIMM WOMEN transforms the traditionally maligned witches, stepmothers, and spell-casting fairies of legend into living, breathing, 21st century women with a mission: to tell their side of the story for the first time. This will be the first-ever public performance of GRIMM WOMEN, the newest play by the director of Bay Path University’s MFA in Creative Nonfiction and the author of CURTAIN CALL, recently performed at the Berkshire Theatre Group; THE WENDY CHRONICLES; and NEW SOUL. HOTPOT, a short play. Two mothers meet to talk about their teenage children and find themselves in a melange of tight spaces, awkwardness, and confusion as things heat up. An earlier version of the play was staged at Chicago Dramatists. MY LIFE IN ROCK ‘N’ ROLL, a solo performance piece in progress. A roller coaster ride through the highs of an unexpected late-in-life passion and the highs and lows of an unpredictable family. Performed by the playwright who will be showing the work she develops during the two-week PLAY BY PLAY residency at A.P.E. There will be a brief talk-back after ROCK ‘N’ ROLL. 2 p.m. on Sunday, Sept. 18. Shelburne Falls Memorial Hall, 51 Bridge Street, Shelburne Falls, MA. 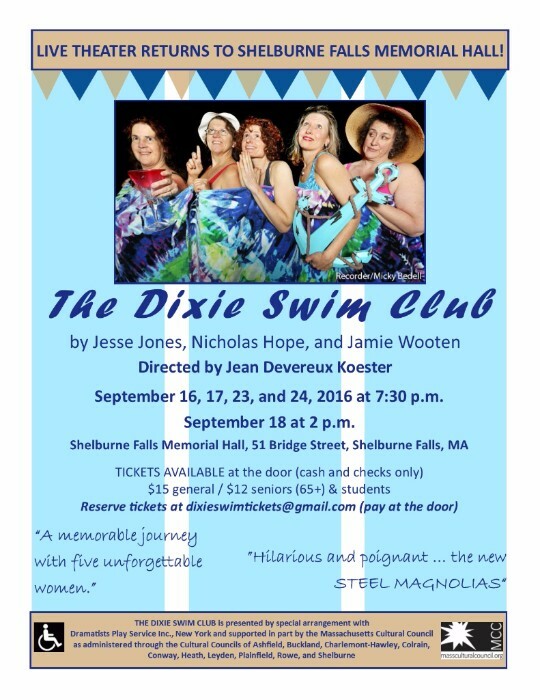 The Dixie Swim Club brings live theater back to historic Shelburne Falls Memorial Hall! Written by Jesse Jones, Nicholas Hope, and Jamie Wooten, The Dixie Swim Club celebrates with poignancy and a good deal of laughter the dynamics of women’s friendships -- college buddies, sisters, neighbors - and the long-lasting love, challenges and great girls’ weekends that are a part of those friendships. The five friends, former college swim team buddies, come together once a year at an Outer Banks beach cottage to talk, laugh, swim, relax, reminisce, comfort, confront, talk and laugh some more. Throughout the 50-some years they have been meeting at the cottage, they have been the glue for each other through all of life’s happiness and crises. Reserve tickets by emailing or purchase at the door (cash/checks only). Happier FAMILY Comedy Show Monthly improv comedy show for the whole family. Best for 5-12 year olds and their adults. Saturday September 17th at 4pm. 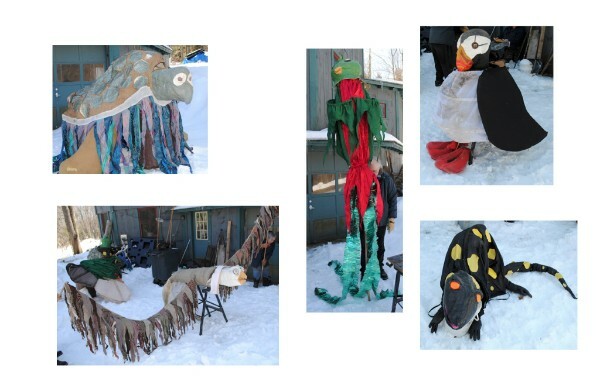 Located at Eastworks' Community Room (Suite 160) 116 Pleasant Street, Easthampton. Tickets at the door or online: $10/Adults, $5/Kids (4 yrs and under free), $30/Family Max. For more info visit www.happiervalley.com. Facebook event here. Buy your ticket(s) online here. Swift River Valley Historical Society, 40 Elm Street in the village of North New Salem, just west of Rt. 202. Live theater joins forces with the Pioneer Valley’s thriving independent music scene in this original immersive production, created by TheatreTruck Collaborator Emma Ayres. Immerse yourself in the currents of time in this story of the flooding of the Quabbin Reservoir. The water is rising. Directed by Emma Ayres and Brianna Sloane with design by John Bechtold, Emily Taradash, C. Webster Marsh and Austin Federa. OR $25 cash only at the door if available ($20 students/seniors). 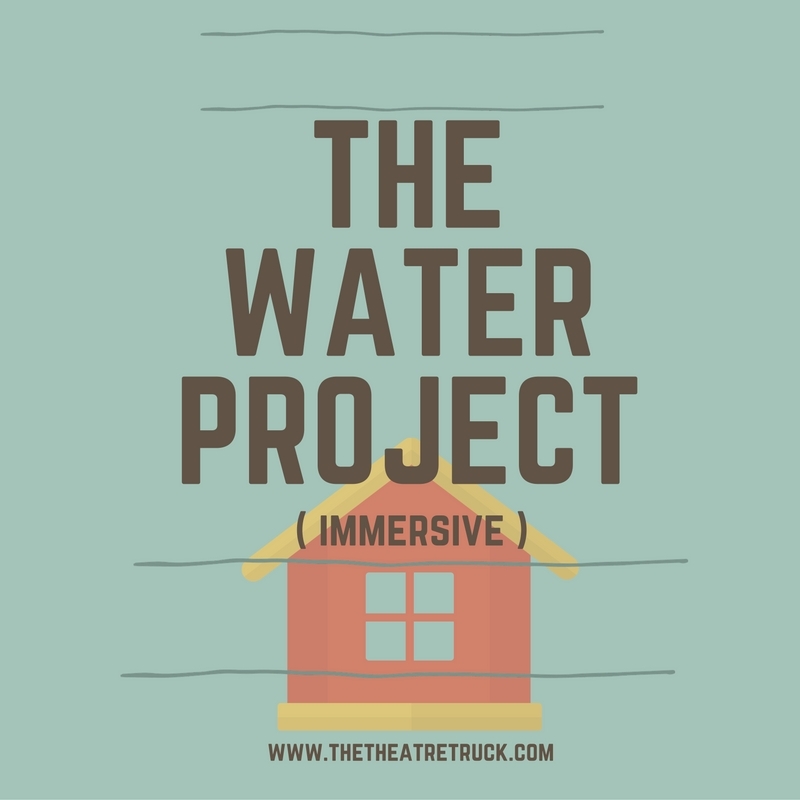 THE WATER PROJECT (IMMERSIVE) submerges the audience in a dreamscape evoking the final week of the decision making-process: to flood or not to flood the Swift River Valley in service of providing clean water to rapidly growing Boston. The audience is invited to explore the story unfolding around them in this theatrical journey. Faced with imminent flooding, the Doubleday family confronts the end of life and home as they know it, while anxiety rises and rumors walk the halls. On Facebook. This event involves going up and down stairs, and much of the performance is not wheelchair accessible. We wish it was. 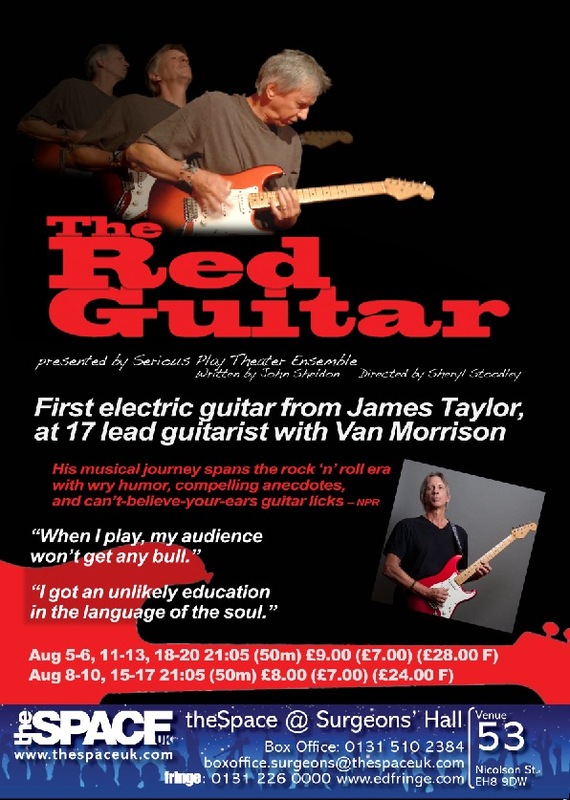 Just returning from the Edinburgh Fringe Festival with a five star review from the well respected Herald Scotland newspaper, and sold out audiences every night of the two and a half weeks the show premiered there, Serious Play Theatre presents John Sheldon's The Red Guitar: Return From The Fringe. John uses his virtuosity as a guitarist and storyteller to go beyond genres and styles, into the beating heart of music-the power of sound to transport and transform. Sharing the sounds that shaped a life. Tickets online or call 800-838-3006. 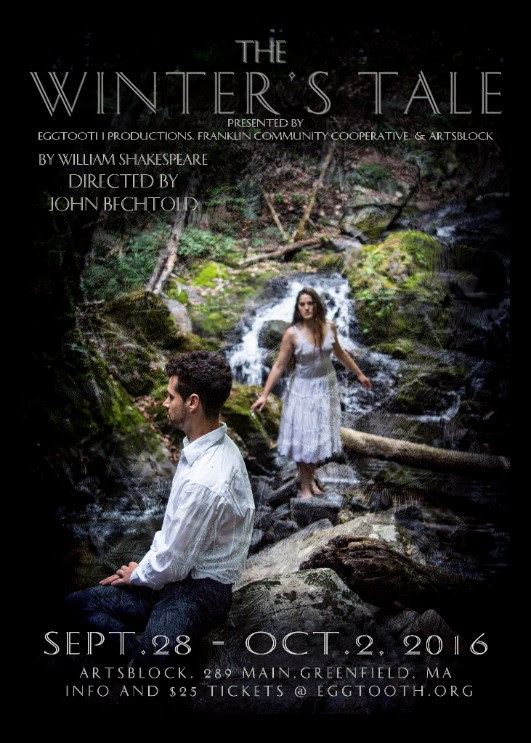 Sept. 28-Oct. 1, 2016 at 7:30 pm with a 2 pm matinee on Oct. 2. The Academy of Music is hiring a Theatre Manager. Check out the listing for this full-time position at Northampton's historical theatre venue here. Auditions will be held Sunday and Monday, September 11 and 12, 7-10 PM in Acting Studio 1. Callbacks will be on Tuesday, September 13, 7-10 PM. Perusal scripts are available in Josten Library. Roles for 6 actors. Five college and community members welcome. We welcome diversity and color inclusive casting. For more information about these auditions, see the Facebook event or the website. 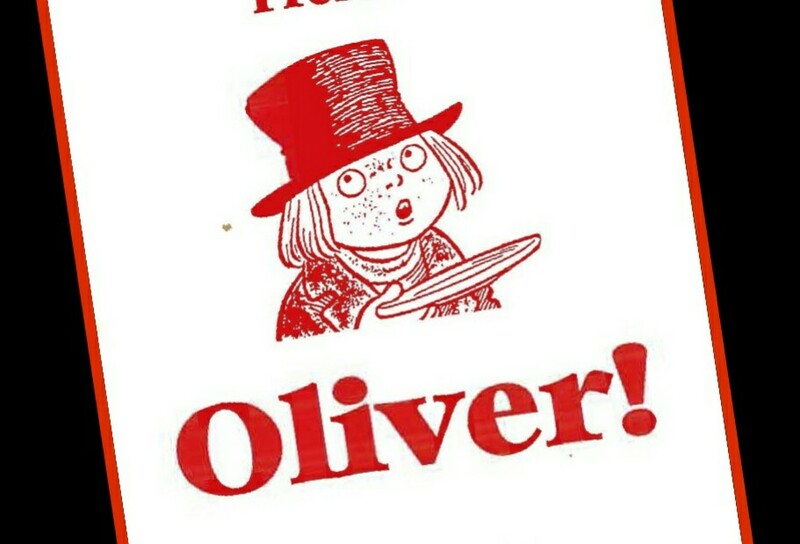 Black Cat Theater is preparing for our Fall production of Oliver! An open call for ensemble members will be held on Monday, September 12th, 6:00 pm at South Hadley High School Auditorium. We are seeking both adults and youth (boys and girls 10 years old and up). Interested applicants will be asked to sing in a group. If you are unable to make it and are interested in being part of the show email blackcattheater@gmail.com or leave a message at 413-563-6023. 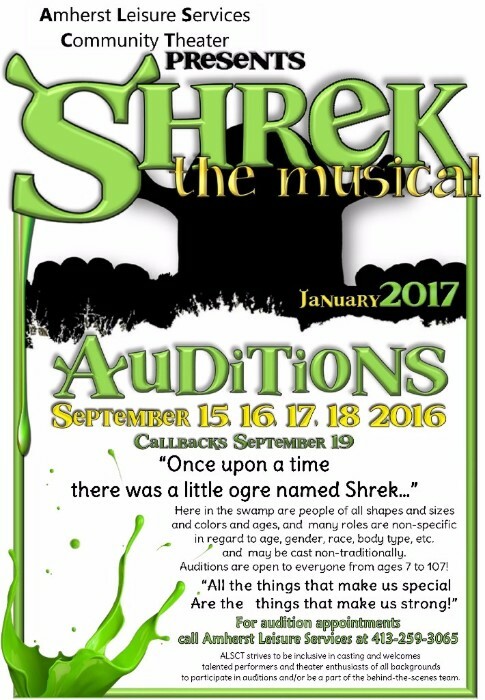 Amherst Leisure Services Community Theater presents Auditions for Shrek! SHREK is coming in January! 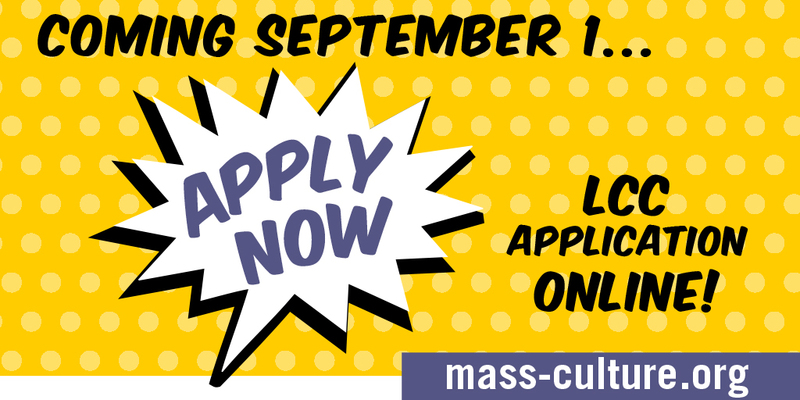 Join ALSCT and audition for this spectacular and splashy, extravagant and hysterical show. Nine performances in January, in beautiful Bowker auditorium, a full live orchestra and lavish sets, with audiences totaling over 5000 people--this is one of the premiere opportunities for actors in the greater Pioneer Valley. And remember--in the swamp are people of all shapes and sizes and colors and ages, and many roles are non-specific in regard to age, gender, race, body type, etc. and may be cast non-traditionally. Auditions are open to everyone from ages 7 to 107! Registration and more information available online. Starlight's Youth Theatre is excited to offer open enrollment in our Fall classes! SYT is dedicated to providing quality education and production of children's theatre. Our priority is the development of the child, using theatre as the tool to build self-esteem, communication and confidence. Focusing on process over product, we invite children to enter, enjoy and expand their imagination in the world of theatre. We offer 5 different classes for age groups ranging from Pre-K to grade 12. Wanna try out this improv thing that all the kids are raving about? How about hanging out with some of the coolest, kindest people in the Valley? If you answered yes to any or all of these questions, Zen of Improv 1 would be an ever so lovely way to spend a couple hours every week. 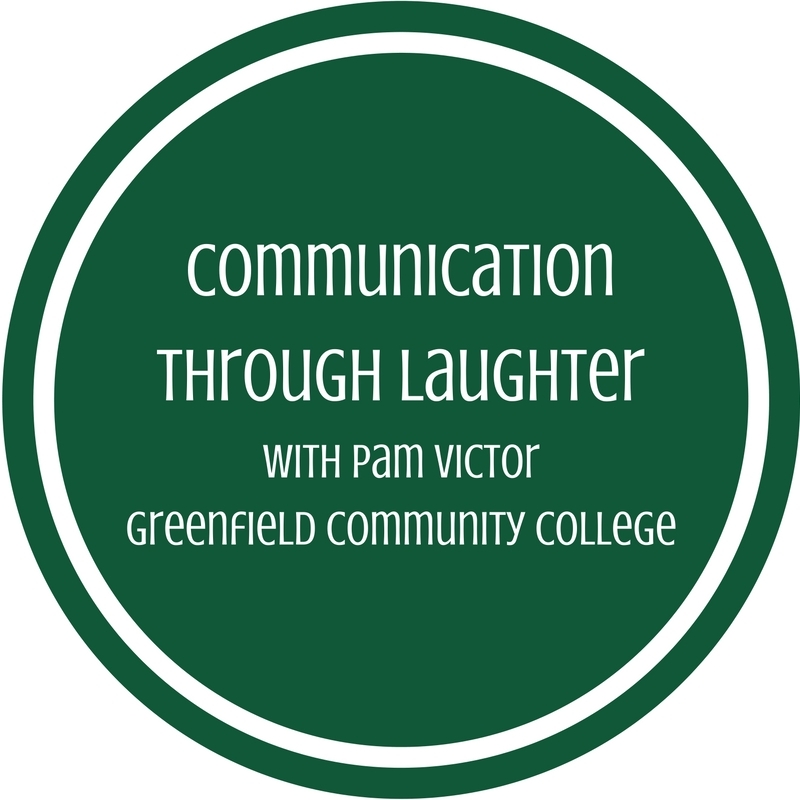 Happier Valley Comedy's Founder and Head of Happiness Pam Victor offers this weekly class for adults who want to try something fun, rewarding, and, quite possibly, mind-expanding. You'll learn a very gentle, very easy approach to improv comedy in an incredibly positive and accepting atmosphere that will get you up on your feet and out of your head. Through exercises, improv games, and scenework, you'll practice the vital improvisation skills of paying attention acutely, accepting other peoples ideas, redefining and disempowering failure, staying in the moment, reacting honestly to the reality of the here and now, and much more. Want to stretch your wings for a couple hours every week and laugh yourself silly in in the process? The first step is saying, "Yes, and..."
This class meets SIX MONDAYS from 6:30 to 8:30pm in Hadley, MA. For more class offerings visit this site. Register online. IF YOU ARE UNABLE TO REGISTER ONLINE, you may call Brown Paper Tickets at 1-800-838-3006 to register via phone. If that doesn't work for you, email Rich at info@happiervalley.com to complete the process, old school-style. To register, send an email to Sam Rush or call413-587-3933 to hold a spot. You can Click on this link to download the PDF information and registration form.